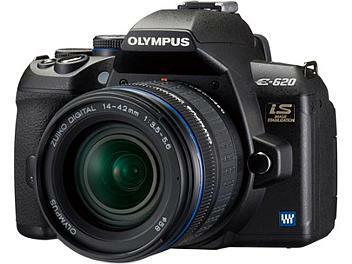 The E-620 comes with Free Angle Live View in a small and light body. With the Art Filter and multiple exposure functionality, it is sure to expand your world of expressions. In addition, the image stabilization built into the E-620 means that image stabilization is available with all FourThirds lenses you may decide to use. Combined with the Standard Class lenses with light weight and high cost performance, image stabilization is always available throughout an approximate 33x zoom range from 18mm ultra wide angle to 600mm zoom, relative to 35mm film format, for everyone.